Fair Game was the only American film in competition at the Cannes Festival in 2010, and given its political message it comes to no surprise at all that it was selected by the French. Based on the 2 memoirs by former U.S. ambassador Joseph Wilson (Sean Penn) and Valerie Plame Wilson (Watts), a CIA agent outed by White House officials, the movie tells how the couple were betrayed by the Bush administration and attacked by the media after Mr Wilson decided to publish an article on the New York Times called “What I didn’t find in Africa“. In the article basically Mr Wilson accuses the White House of misrepresenting him and saying that he had found evidence of Saddam Hussein’s weapons of mass destruction in order to sell the case for the imminent invasion of Iraq. Fair Game is really split into two parts: the more urgent political thriller, as the pair undertake their respective fact-finding missions (obviously taken from his version of events), and the more emotional domestic suburban drama, charting the couple’s breakdown as their findings are manipulated by the White House (which must come from her memoirs). 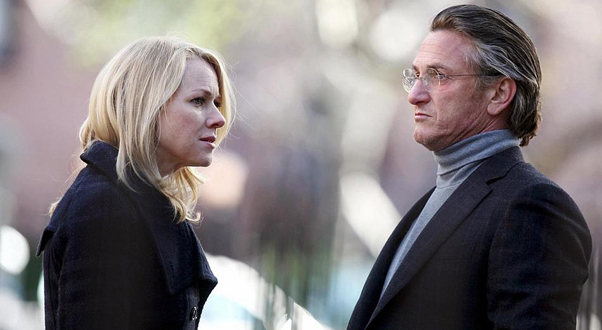 Penn and Watts have already worked together twice before (21 Grams and The Assassination of Richard Nixon), and whenever together in this film, they convincingly managed to convey the intimacy of a real marriage in danger of being destroyed by the constant assaults by reporters and the media in general, the sense of dread given by the death threats and arrogance of the power above them. Naomi Watts is pretty much perfect as the tightly controlled woman who’s been training for a whole life to be secretive , and control her own emotions (“I don’t have a breaking point” she says at one point in the film). Sean Penn, was born to play the role of Joe, the liberally opinionated fighter who’s running against the whole system. He’s basically playing himself and he’s clearly enjoying himself quite a lot (and he’s very good at it too!). The contrast between the two of them makes a dynamic combination. I just wish there was a little bit more of that in the film. Unfortunately by trying to stick to the facts (which in a film like this I guess is the safer option), the director Doug Liman (from the first Bourn Identity) give the film a rather slow pace which works against the tension the film is trying to create and eventually its dramatic impact is diminished. The breaking of marriage happens mostly too quickly and off-screen and when the final confrontation comes, because we haven’t been so much invested in the relationship we get the feeling that it could have gone either way. Also, it takes forever to actually get there and the film fells generally a bit too slow for what it’s trying to do. All the President’s Men it ain’t! On the plus side, the sense of the real story really comes through and by the end of it, somehow you’re just left with a feeling that you’ve been watching a documentary (obviously helped by the very last appearance of some real footage) and you come out of it even more pissed off at the Bush Administration than you’ve ever been.